I love a cushion, I love polka dots and I love a sweet message. Check, check and check with this Etsy find combining all three! 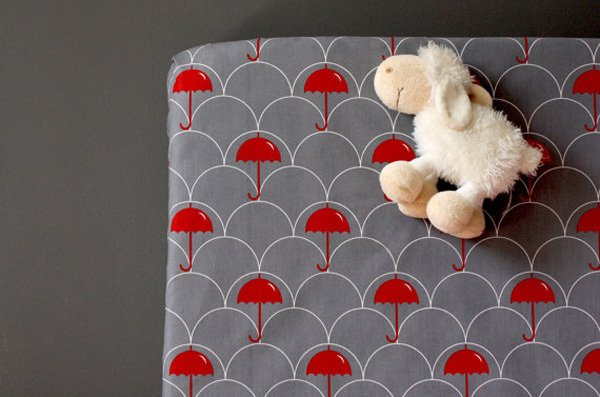 Etsy seller New Mom Designs creates pillow covers and cushions with sweet charm. 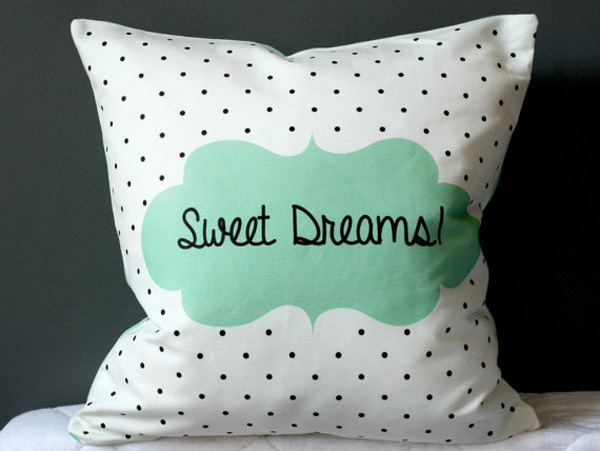 My clear front runner favourite is the Sweet Dreams ($39) pillow cover pictured above, I just can’t go past that delicious mint, black and white combination. Try as I might, it’s just not happening. New Mom Designs also offers a cute personalised Little Drawer cushion cover that would make an amazing gift for the littlest person in your gift giving circle. 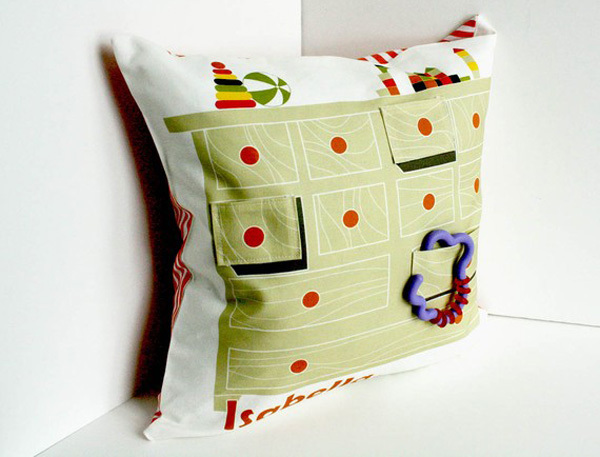 The Little Drawer cushion cover (priced $55) not only has your chosen name printed on it, it includes a pocket and two velcro fastened flaps, hiding a surprise number, picture or letter to be discovered by someone special. The use of amazing fabrics doesn’t stop with cushion covers and pillows, you can also buy organic cotton cot sheets in several modern prints to pep up a sleeping space in an instant! To see all that is available, head on over to New Mom Designs. Shipping to Australia is available.